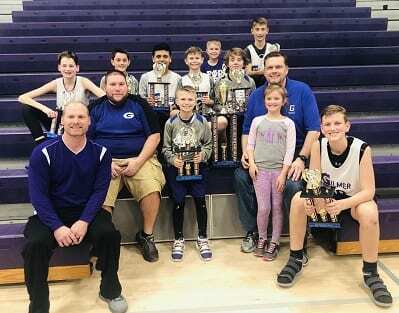 February 16th, 2019 had the Gilmer Parks and Recreation host the district championship at the Gilmer Middle School gym in Ellijay, GA. At the end of the day, one local 12U boy’s team did something special. Coach Patrick McVey and his Bobcat team started the tournament facing off on the court against their neighbors just south on Hwy 515. The Pickens Dragons started strong with an 11-2 run but Gilmer fought back and took a comeback win 62-41. 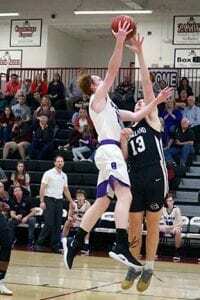 Ethan McCollum led his team with 17 points followed closely by Ryder Wofford with 14 points, Jacob Bacera with 13, and Jackson McVey with 12 in the big win. This big win took them to the semi-final game where the played against LaFayette. This game wasn’t the challenge seen in game one as the Bobcats won easily 79-24. Ryder Wofford put on a show with 24 points to lead his team in the victory. Other Bobcats adding their name to the list of scorers were Jacob Bacera with 10 points, Cooper Farmer(9), Jackson McVey and Boston Teague(8 points each), and Ethan McCullom had 7 points and earn the trip to the Championship game. The Gilmer 12U team coached by Patrick Mcvey took an early lead over a good Trion team. This lead would hold throughout the game without being challenged. With two seconds on the final quarter clock and a 2 point margin in favor of Gilmer at 51-49, Trion put up a shot for the tie to send the game into overtime fell short closing out the game and crowning the 12U Gilmer boys the District Class C Champions. This tournament win moves Coach McVey and his team on to the State Tournament. McVey led the scoring for the Bobcats with 17 points. Jacob Bacera was right behind McVey with 14. Ryder Wofford had 8 and Boston Teague finished with 7 points. The Park and Recreation State Tournament will be held at the Gilmer High School gym starting March 1st and running through March 2, 2019. 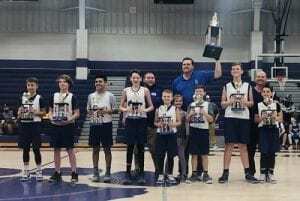 Coach Patrick McVey and his 12U Champions will take the floor with Union County on Friday the 1st at 5:00 pm. Friday night the Gilmer Lady Cats traveled to the Marist School in Brookhaven for their first-round State playoff game. The Lady cats 21-7 overall on the season faced the Marist Lady War Eagles out of Region 7-4A with an overall record coming in at 20-7. Coach Nunn had her girls ready to play hard and fight for the opportunity to play a second round game in the GHSA State playoffs. The Lady War Eagles came out of the blocks fast with an 11-6 lead at the end of the first. As the second period started, the Lady Cats found their rhythm and outscored Marist 20-15 to bring a halftime score at 26-26. 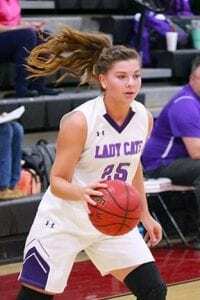 Leading the second period scoring for the Lady Cats was Hope Colwell with two big three-pointers(6 points in the period), Bailey Teague with 5 points including a three-pointer of her own. Four Lady Cats had two points each in the 20 point period to tie the score. Mallory Kiser, MaryLee Callihan, Beth Burnette, and Emma Deyton. Coming out of halftime, the Lady Cats started slowly(6 Points) as the basket seemed to have a lid on to prevent the ball from going through. The Lady War Eagles played slowly as well with just 7 points in a period that appeared to drag on due to the pace of play. Marist held a 33-32 lead as the buzzer sounded to end the third period. 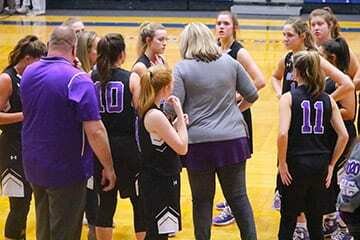 After a minute with the coaches, the Gilmer Girls came back to the floor ready for the fourth and final period. 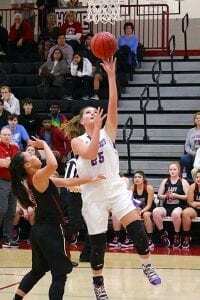 With the help of several argumentative calls that coaches and fans showed disagreement with, the Marist Lady War Eagles showed a renewed energy. Marist stretched out a 10 point lead midway in the period. The Lady Cats fought hard through the aforementioned adversity but in the end, Gilmer came up short. The 51-41 loss to Marist Lady War Eagles brings to a close the 2018-2019 season for a great group of girls. The Lady Cats gave all they had each and every game. This loss also brings to an end the high school careers of two seniors. 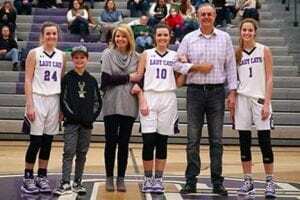 MaryLee Callihan and Mallory Kiser have been friends, leaders and role models to the Lady Cats for the present and those that will play in the future. Great Season Ladies and Thank you Mallory and MaryLee!! As if these two teams do not play enough throughout the preseason tournament and the regular season, fate would have to see this match up one more time in the 2018-2019 season. 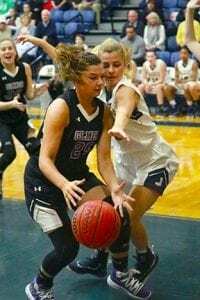 The Gilmer Lady Cats came into the consolation game of the 6-4A region tournament with a 3-0 record over the Nettes of Pickens High School but as in any rivalry, the records can be thrown out the door. The Lady Cats came out of the locker room with nothing but winning on their minds and that they did. At the completion of the first period of play, Emma Deyton(7 points), MaryLee Callihan(7 points), and Mallory Kiser(5 points) led the scoring for Gilmer and pushed out a 21-8 lead over the Nettes. The scoring was evenly split across both teams in the second as the Nettes put up seven that was matched by the Lady Cats who had eight to keep the lead at 29-15 heading into the halftime intermission. The Nettes came out for the third period with a renewed spirit to close the gap in the score on the board. With 18 Nettes points, McKenzie Weaver discovered a rhythm to score 11 contributing in a huge way to bring her team back. 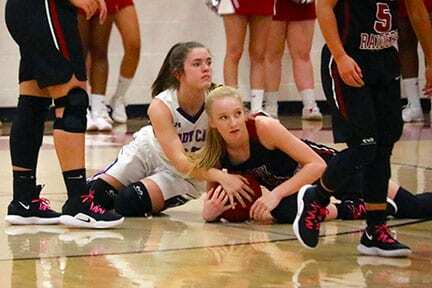 The Lady Cats added 11 points off the hands of Mallory Kiser, Beth Burnette, and Emma Callihan to stay in front of the “never say die: Nettes of Pickens. 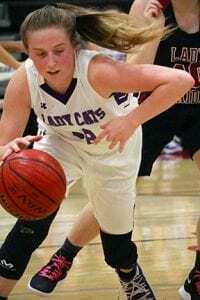 The fourth and determining period went the way of the Lady Cats who put up 12 points and held on for a 9 point victory over the Pickens Nettes to earn 3rd place in Region. Next up for the Lady Cats will be on Friday the 15th as they travel to Atlanta for a first-round matchup with the Marist Lady War Eagles. Game time is 6:00 PM. 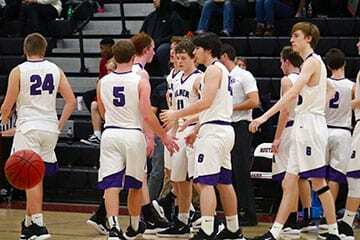 Tuesday night of last week had the #2 seeded Bobcats facing the #7 seeded Ridgeland Panthers in a first-round game in the 6-4A post-season tournament. The Bobcats played a hard-fought game all night but at the end of four periods of play, they found themselves at the end of a really good season. The Ridgeland Panthers had for players in double figures including their big inside threat Fred Norman who had 20 points on the night. The Panthers jumped out to an early 13-6 lead and never looked back. Gilmer had no answer to the Ridgeland attack until the third period. Coach Hice call for and implemented the man press which allowed the Cats to fight back late and tie the score only to see their opponents take the final lead of the night on free throws to seal the 57-53 win to end the run for the Bobcats. 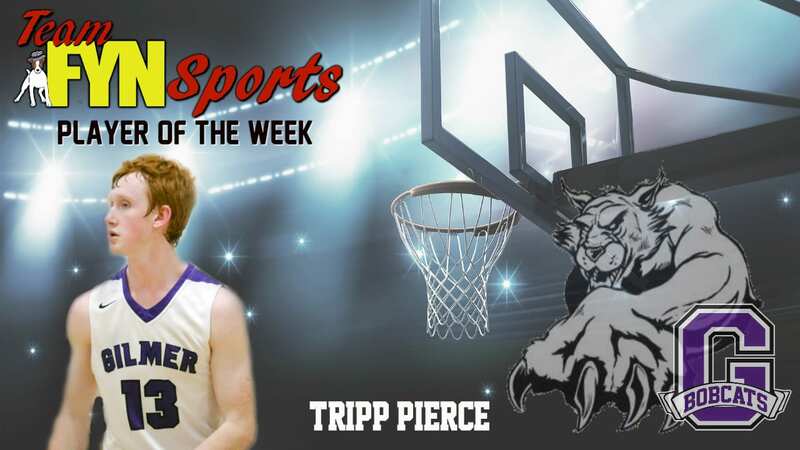 Tripp Pierce led the scoring for Gilmer on the night with 16 points. David Smith and Carter Hice had 9 points and 8 points respectively in the tough loss. 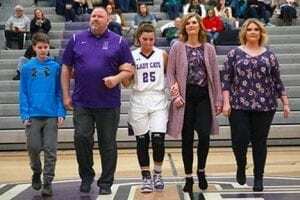 Several seniors have played their last game as a Bobcat and the emotion showed on their faces. 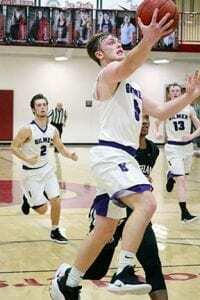 The Bobcats had a banner year and though the season came crashing to an unexpected halt, Coach Hice and his team will bounce back next season. 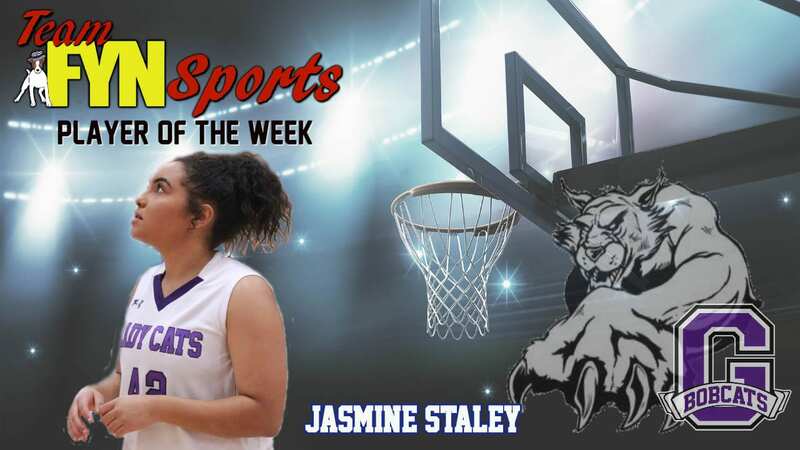 Monday, February 4th was the opening game for the Lady Cats as they entered the Region 6-4A tournament at Southeast Whitfield High School. 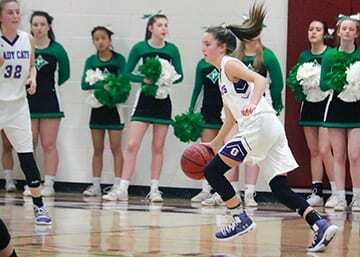 Gilmer, entering the post-season as the #3 seed took the floor against the 6th seeded Lady Raiders of Southeast. 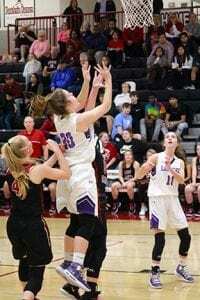 With the opening tipoff, there were no doubts who wanted to get the victory more as the Lady Cats began to set a precedence on how they were going to play. The immaculate defense held their opponents to a mere 6 points in the opening period and a total of 36 total on the night. On the offensive side of the ball, it seemed as if the Lady Cats couldn’t miss. as the first period came to a close, the Gilmer Girls had rolled out 22 points and a commanding 16 point margin over the Lady Raiders. Mallory Kiser had 8 points while Bailey Teague (7) and Emma Callihan(5) followed close behind in the scoring in the first. As the second period began, the Lady Cat defense continued the pressure allowing only 8 points while offensively things slowed down for the Lady Cats. Gilmer had 6 points as a team heading into the intermission with a 28-14 lead over Southeast. The second-period scoring was from Bailey Teague, Jalynn Ledford, and Elly Callihan with two points each. 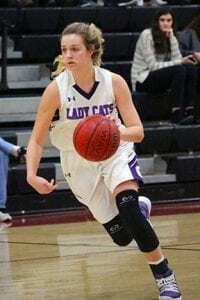 The Gilmer dominance continued in the second half with the Lady Cats turning up the heat. The Lady Raiders found a small burst of energy and rhythm in the period to put up 15 while the Lady Cats scored 12. Despite being outscored in the opening period of the second half, Gilmer continued to hold a sizable lead at 40-29 to start the final period of play. The fourth had Gilmer step up once again and seal the deal with a 60-36 win and etch their name in the round two brackets. Four Lady Cat players were in double-digit points for the night. 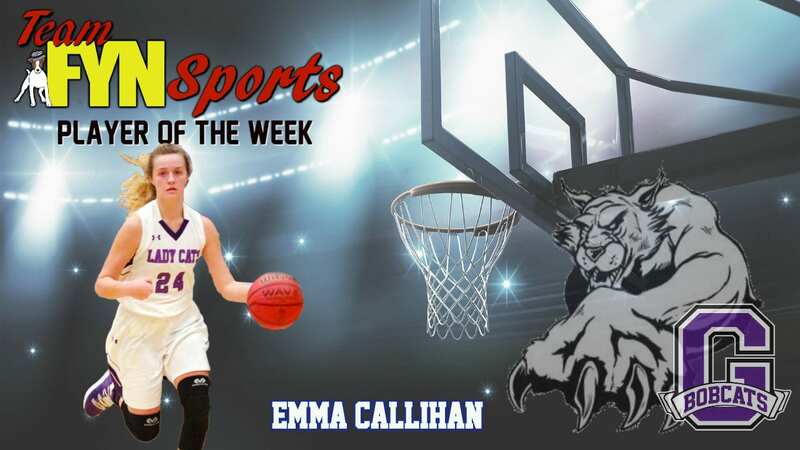 Emma Callihan led all scoring for Gilmer with 13 followed closely by Bailey Teague with 12, Mallory Kiser with 10, and Elly Callihan with 1o. 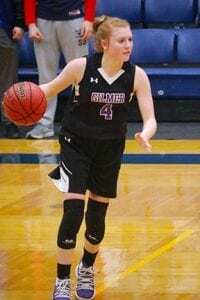 This win moved the Gilmer Lady Cats into round two where they would face the Heritage Lady Generals. Heritage handed the Lady Cats a loss on Thursday and forced a drop to the consolation game on Friday to decide 3rd or 4th place finish. The Game was scheduled for Friday at 4 pm against the Pickens Nettes.